Develop the specialist legal knowledge you need to build a rewarding career in a branch of law you’re passionate about. As you expand your legal knowledge, you’ll also develop advanced critical, analytical and evaluative skills. The research project will allow you to focus on an area of law that interests you. You’ll work with specialist researchers who are shaping the legal environment, from discrimination law to medical ethics. This is the perfect environment if you have ambitions of becoming an expert in a particular area of law or pursuing a career in legal research. Specialist routes – select one of the specialist LLM options to develop your understanding of an area of law you’re passionate about. Research focus – learn from our team of research specialists. They have strong links with civic society, think-tanks, European institutes and policy makers and have delivered research that makes a difference. Dynamic legal centre – Manchester has a thriving legal sector. You’ll study surrounded by national and international firms that specialise in diverse areas of legal practice. Put theory into practice – use our connections to carry out pro bono work with our partner organisations. It’s an excellent chance to take what you’re learning and apply it to real cases. 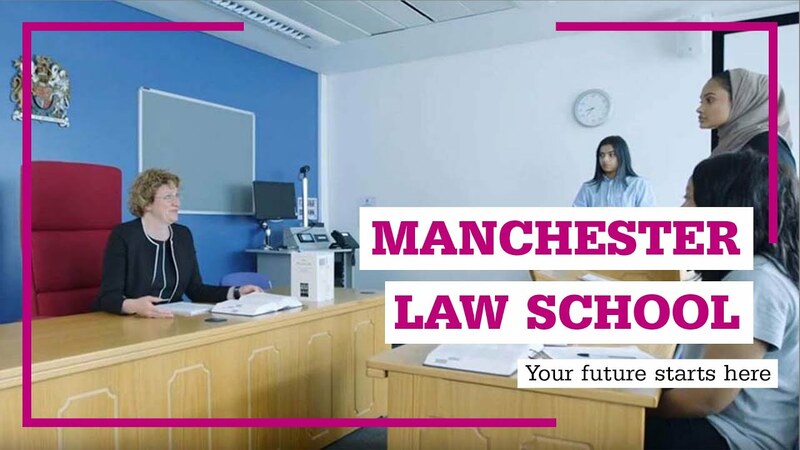 Outstanding learning environment – access the excellent facilities at our Manchester Law School, including a mock courtroom, legal libraries, careers hub and IT zones. Expand your knowledge – hear guest lectures from legal specialists and practitioners from the North-West and further afield. Make connections – use our extensive links to law firms and lawyers to help develop relationships that could further your career. “The teachers are really helpful and approachable; they are all scholars in their own fields. I wanted to study somewhere where I could focus on equalities and human rights and I think this is the best course in Manchester.”	 Fiona Simkiss, LLM. "Our research is influencing national and international policy and legal development. We have advised parliamentary committees and Olympic bodies in the areas of sports law, equalities and discrimination, and human rights law." Jackie Panter, Associate Head of School. This course can give your career prospects in the legal sector a real boost. This postgraduate qualification is internationally recognised and interdisciplinary. It can lead to opportunities all over the world. You could use your skills in areas such as public administration, the civil service or the voluntary or community sectors. The research elements of this course can also prepare you for PhD study. Begin your career in academia and focus on areas of the law that interest you to bring about change. Whatever your background or experience, completing this course will show employers you have the intellectual drive and dedication to succeed in your chosen area of law. This advanced and specialised legal training will mean you’re well-placed to work in a multinational environment, as well as in regional or national firms or in-house legal teams. of graduates go straight into employment or further study within six months of graduating. DLHE survey 2017, for all respondents available for employment or further study and whose destinations are known. Overseas applicants will require IELTS with an overall score of 7.0 with no less than 5.5 in any category, or an equivalent accepted English qualification. Accepted English qualifications can be viewed here. Our Master of Laws (LLM) gives you the opportunity to expand your existing knowledge of the law while developing advanced legal research skills. You’ll spend an intensive year (or two if you study part-time) boosting your expertise in subject areas of your choice. By the end, you’ll emerge with an internationally recognised postgraduate qualification that can help you stand out in a competitive jobs market. The LLM focuses on how the law relates to individuals, society and the global arena. With the support of our academic specialists and practising legal professionals, you’ll take an in-depth look at how and why the law is formed and how it’s applied. You’ll also explore how it relates to policy and policy-making processes at national, European and international levels. For example, you’ll look at the law in relation to race, disability and religion, discrimination, business regulations, migration, healthcare provision and even the consequences of Brexit. And, as you expand your legal knowledge, you’ll also develop advanced critical, analytical and evaluative skills that can be valuable in a range of different roles. The LLM is a flexible course, giving you the choice between a general or a specialist route. Opt for the general LLM and you’ll take two core units – Research Methods and Dissertation – and choose three others from a broader base of option units according to your interests. If you take the specialist route, you’ll focus in on one of five areas, Equality Law, European Law, Human Rights, International Business Law, or Law and Society. If you choose the latter route you’ll still be able to add an option unit from a wider, more varied list. In this way you can tailor your masters to suit your specific professional interests or academic goals – whether you want a deeper understanding of subjects you’ve already studied or to pursue new areas altogether. Throughout your research project, you’ll work with specialist researchers who are shaping the legal environment, from discrimination law to medical ethics. It’s an ideal grounding if you’re looking to move into legal research or academia. Completing the LLM also shows that you have the intellectual drive and dedication to succeed in your chosen area of law. In short, it’s a qualification that will open up opportunities across different disciplines, a range of sectors and around the world. If you choose a specialist LLM, you will study two option units related to your study route. Plus, a further option unit from a more general list. PLEASE NOTE: Option units are subject to availability and resource, and may change year to year. At the point of applying to admission to the roll of solicitors, an applicant must satisfy the SRA that they have completed the necessary academic and vocation stage of training AND that there are no character or suitability issues preventing them from being admitted. As part of Manchester Law School, our LLM students have the opportunity to get involved in voluntary work through the Pro Bono Network. Work with one of our partners and you won’t just be offering free expertise to people in need – you’ll also have the chance to build real skills and relevant experience. There are a range of different routes for pro bono work, working on projects with local, national and international partners. It could be working on a legal advice line or advising start-ups in our Business Law Café, or it might be supporting caseworkers for the homeless or even working on death row cases in the USA. It can be challenging, but it’s also rewarding. While you make a difference for your CV, you can also make a difference to people’s lives. Our dedicated careers advisor is also on hand to put you in touch with legal firms, so you can develop your own opportunities for gaining experience and building your network. Non-EU international and Channel Island students: Part-time fee: £2584 per 30 credits studied per year. Tuition fees will remain the same for each year of your course providing you complete it in the normal timeframe (no repeat years or breaks in study). If your qualifications are relevant, you may be eligible for entry with advanced standing'. This entry route gives academic credit for your current qualifications. Please note, advanced standing applications cannot be made using the apply online feature. If this applies to you, please instead complete the Postgraduate Application Form.